If you happen to find yourself in harm's way, there's one thing you should be sure to do above all else: get out of said harm's way. Sometimes, that's a lot easier said than done. 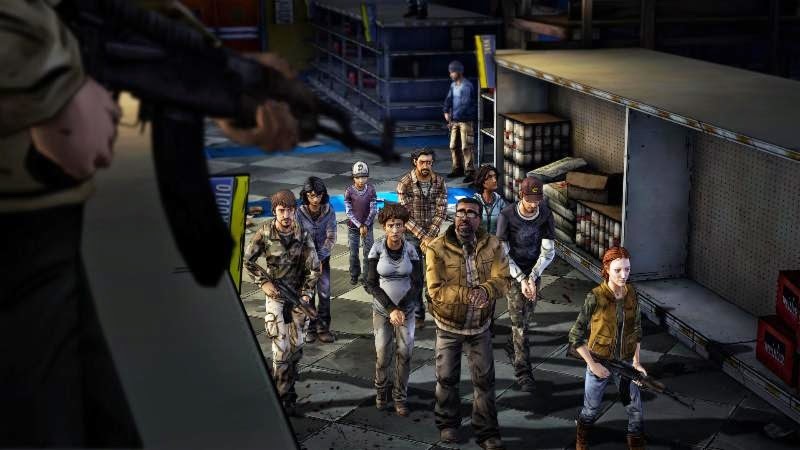 In The Walking Dead from Telltale Games, not only is it next to impossible to do, but it's also the title of the next chapter in The Walking Dead: Season Two. The publisher has just divulged the release date info for the game. Steam and PSN players can check it out May 13th, Xbox Live gamers can jump in May 14th and mobile gamers will want to mark May 15th on their calendars. Additional platform release dates for tablets, mobile, handheld, and micro-console devices are to be announced. "In Harm's Way" will be available on Xbox LIVE Marketplace and PlayStation Network for $4.99 USD individually, or as part of a season pass option including access to episodes as they are released. On PC/Mac, the episode will be available as part of a season pass and also available on the iOS App Store as part of a season multi-pack, or for $4.99 USD as an in-app purchase within The Walking Dead: Season Two application. Today we would like to share the official trailer and release dates for 'In Harm's Way,' the next episode of The Walking Dead: Season Two - A Telltale Games Series. The Walking Dead: Season Two's third episode, 'In Harm's Way,' will be available on Xbox LIVE Marketplace and PlayStation®Network for $4.99 USD individually, or as part of a season pass option including access to episodes as they are released. On PC/Mac, the episode will be available as part of a season pass, and also available on the iOS App Store as part of a season multi-pack, or for $4.99 USD as an in-app purchase within The Walking Dead: Season Two application. The Walking Dead: Season Two - A Telltale Games Series- Episode 3: 'In Harm's Way' is rated 'M' (Mature) for Violence, Blood and Gore, and Strong Language by the ESRB.